Animated family movie "Brave," about a rebellious Scottish princess, rode to the top of the weekend box office charts iwith $66.7 million in ticket sales. 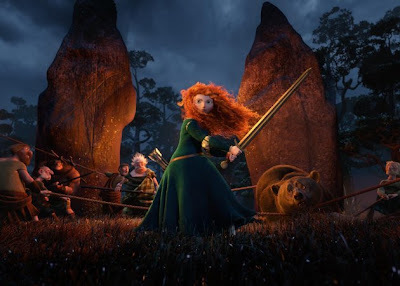 "Brave," the new fairy tale from Walt Disney Co's Pixar studio, knocked another animated adventure, "Madagascar 3: Europe's Most Wanted," to second place with over $20 million after two weeks at No. 1. Taking the No. 3 slot, new thriller "Abraham Lincoln: Vampire Hunter" brought in $16.5 million . Fox 's Prometheus and universal's snow white and the huntsman completed the top five with $10million and $8million respectively.